Offering you a complete choice of products which include scaffold base jack, scaffolding u head jack, universal scaffolding jacks and scaffolding prop jack. 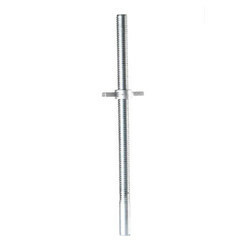 We are completely committed to offer international quality Scaffold Base Jack. This array of jacks is manufactured by our team of professionals who has vast knowledge in the domain. We also incorporate all the details and specifications given by our esteemed and numerous customers in the production of these jacks. Our expert quality controllers also check these jacks on the basis of several recommended parameters. Leveraging on rich experience acquired by us we are serving our customers by offering Scaffolding U Head Jack. This range of jacks is manufactured with the adjustment from 75 mm to 660 mm. This completely helps us to offer complete satisfaction level to our customers. Our jacks are malleable and ductile. Moreover they are also know for longer service life, robust design and minimum maintenance. 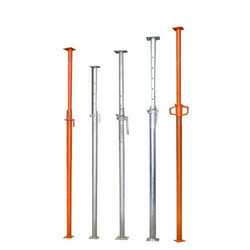 The Universal Scaffolding Jacks provided by us is widely used in various industrial sectors. For the easy usage, our team of expert professionals use latest technology in the fabrication process of these jacks. In addition to this, they also use qualitative raw material which gives a longer service life to these jacks. To assure a faultless rang of jacks, we check the products strictly on the basis of various standard parameters. 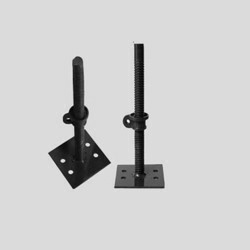 We are offering an impeccable range of Scaffolding Prop Jack to our valued clients. Developed using supreme quality required basic material these offered products conform with the defined parameters of the industry. Furthermore, these offered products are being appreciated for their remarkable attributes such as longer service life and high compressive strength. Our valued clients can avail the offered products in both customized and standard forms.